Sure you probably know about pineapple Dole Whip, turkey legs, and Mickey pretzels, but what about red velvet Mickey cake pops and fruit & nutella waffle sandwiches? Here are 16 things most people don’t know that they could eat and drink at Disney World. If you don’t like Dole Whip, then you can try this alternative treat that made with orange ice cream! It literally tastes like an orange creamsicle. The most underrated dessert at Disney World. You just need to try this. 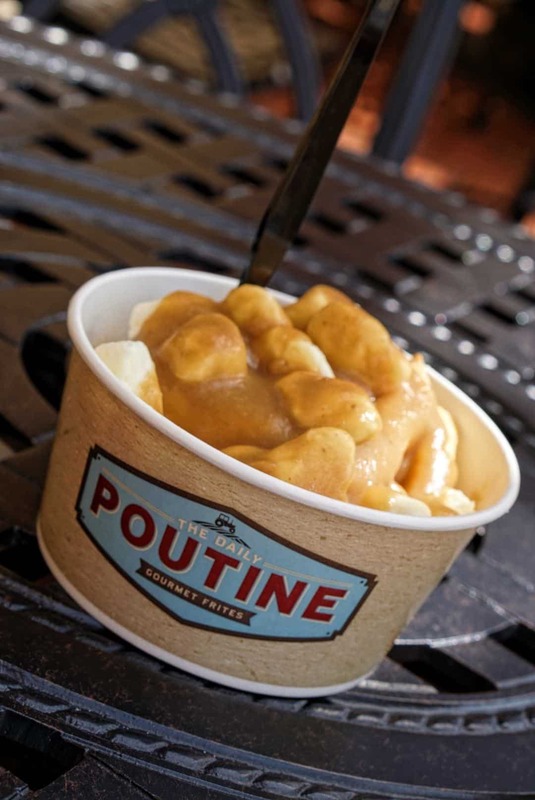 Now you can get poutine at Disney World without having to dine at Le Cellier at Epcot. Plus as a bonus, you can choose from 4 different poutine variations: classic, French, Latin, and Italian. Get this from The Daily Poutine at Disney Springs. Probably the most underrated dessert at Epcot behind the tarte au fraises (#2). It’s a s’mores filled with caramel, covered with milk chocolate. Incredible. Get this from Karamell Kuche at the German Pavilion in Epcot. 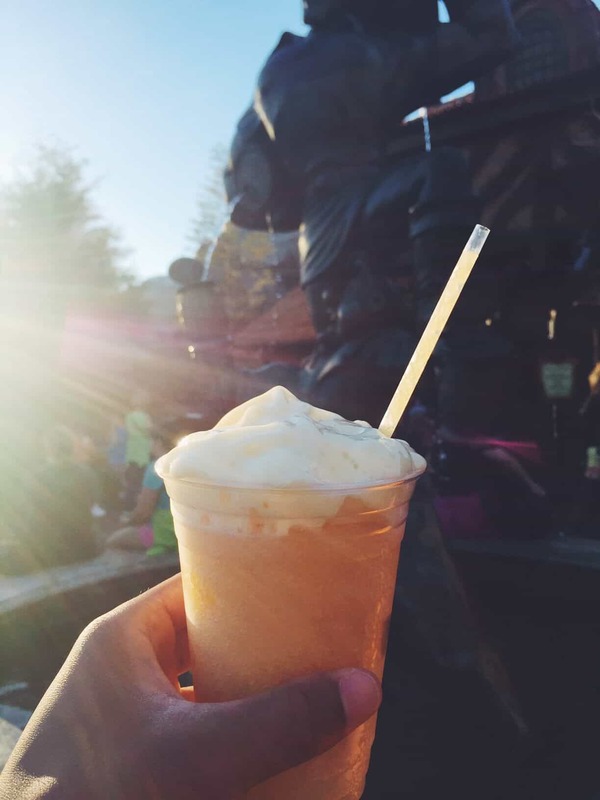 I’m sure you’ve probably heard about people raving about Universal Studios Butterbeer, but did you know that Disney has their own frozen drink. LeFou’s Brew is a frozen apple slush infused with toasted marshmallow syrup topped with a passionfruit foam. It’s very cool and refreshing. A game changer. Fried wontons topped with sushi grade tuna. It’s so good! Get this from Yak and Yeti at Animal Kingdom Park. Yes it’s true, you can get a freshly made waffle topped with Nutella and fresh fruit. Get this from Sleepy Hollows Inn at Magic Kingdom. The world’s first cupcake bakery now has a location at Disney Springs! What separates this from the rest are their homemade ice cream cupcake sundaes. I recommend getting red velvet ice cream topped with a vanilla cupcake! Get this from Sprinkles at Disney Springs. Did you know that you can actually eat some of the food grown in Epcot’s greenhouse, as seen on the ride, Living with the Land? Yep, it’s true! You can even eat the fish! Get this from either Sunshine Seasons or the Garden Grill, which is one of the better character dining options. Who would’ve thought that you can find proper New York style cheesecake in Disney Springs? It’s creamy and delicious with no grittiness whatsoever. Get this from Amorette’s at Disney Springs. Sure every Disney table service restaurant sells steaks or filet mignon, but this steak is in a class of it’s own. It’s incredible. Get this from the Yachtsman’s Steakhouse at Disney’s Yacht Club Resort. Banana cupcakes filled with fresh banana topped with peanut butter frosting. Elvis would’ve approved. Get this from the Old Port Royale Food Court at Disney’s Caribbean Beach Resort. Sure you’ve probably heard about those famous Mickey beignets from Disneyland, but did you know that you can get delicious beignets at Disney World too? Now they aren’t as good, but they’re close! Get it from Sassalouga Floatworks at Port Orleans French Quarter. Have you ever head 2 words more beautiful? Just make sure to get the caramel one! Get this from Whispering Canyon Cafe at Disney’s Wilderness Lodge. Yes you can now eat Darth Vader and BB-8 cupcakes and more thanks to new delicious Star Wars foods available at Disney Parks. Get most of these from Backlot Express at Hollywood Studios. You heard that correctly. They’re so addicting! Red velvet cake topped with two marshmallow Mickey ears ears covered in milk chocolate. Get this from the Main Street Confectionary or Big Top Treats at Magic Kingdom. Thanks for reading and to learn about more delicious Disney foods, be sure to follow me on Instagram (@adambryan). Question: Is there anything most people don’t know about but absolutely must? Let me know in the comment section below, thanks!